R-Z » TheoX's Site of Miscellany - Because random is fun. Here are some of my favorite games, for which I feel (or will in the future) much nostalgia! I'll be reviewing and remembering. They're games that I will never forget. ShadowWraith (Mac) ___ShadowWraith was one of the first mac games I ever played. I spent hours playing this with the kids across the street from me. What about this game captured my attention? 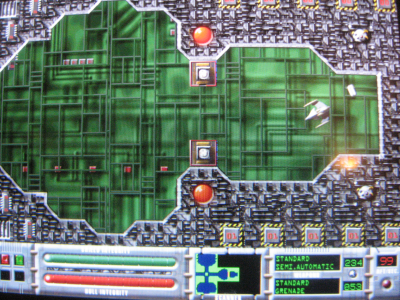 In ShadowWraith you pilot a small spaceship inside many levels in a digital world, blasting other ships to shithereens. There's a lot to like about the game, especially the soundtrack, which contains many awesome, fast electronic tracks. I recently played ShadowWraith through again, and found it to be just as enjoyable as ever! A mac action classic. - Not sure where to obtain the game these days. I have my copy on an old mac games collection CD. 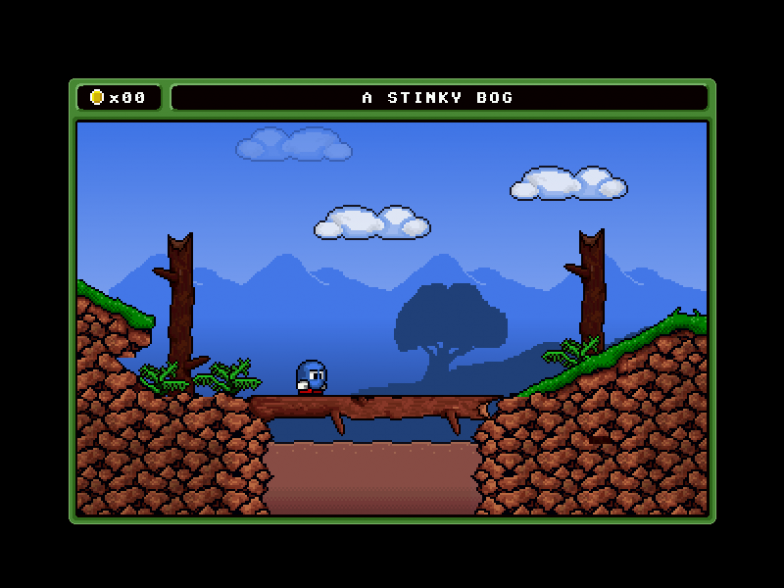 ___Inspired by the classic platformer Jet Set Willy, this is a game that I played when I was very little with my dad. It's extremely hard (notably one of the hardest earlier games ever - only 2 or 3 people have ever beaten it). 100 rooms and ~160 pieces of trash to collect. I was amazed by this game's size when I was little. It was great fun to discover a place where I had never been before. ___When our Amiga broke down I couldn't play Top Hat Willy for a long time, which saddened me. However, many years later I found a PC port and basked in the glory of a long-lost nostalgic game. 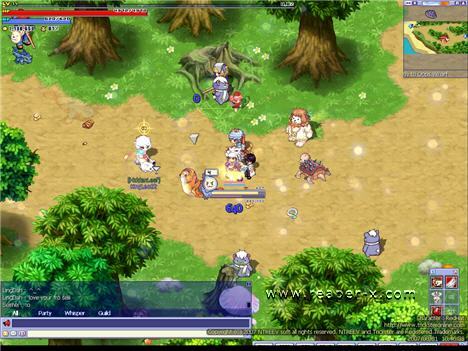 Trickster (PC) ___Who would have thought I'd be reminiscing about an MMORPG? I discovered Trickster during the summer of '08, and it captivated me instantly. This is saying a lot considering I generally dislike games of this genre. There was something about this game... maybe the peaceful graphics and even more wonderfully serene music, maybe the retro-styled pixel character art... I don't know, this game was just ridiculously charming. ___I generally avoid MMORPG's because they are addicting, and Trickster was no exception. I played this for ages, but I did make a lot of friends, some who helped me along and some who I gave aid to myself. Having friends in the game made the experience much more satisfying. ___I decided to stop playing around the start of school, and it was a good choice (hard to stop), but I still miss playing the game. I log on once in a while, but my friends don't ever seem to be online. ___Within A Deep Forest is an ambient platformer by Nicalis Nygren (a.k.a. Nifflas) set primarily at night in a large forest, mountains, and other places made peaceful by beautiful music and simple, yet captivating graphics. 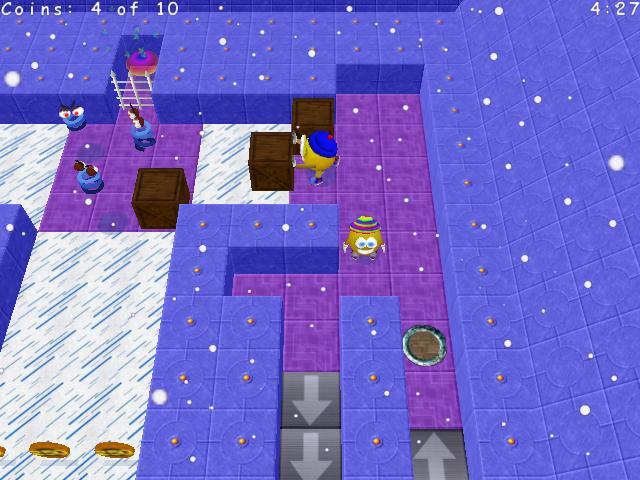 As you progress in the game, you collect different ball materials which each have different properties and abilities, and use them to solve puzzles and get to new places on the way to saving the future from an icy doom. ___ This game was recommended to me by an online friend, and it's basically become my all-time favorite pc game. Sure, there are aspects of other good games that I like better, but I think Within A Deep Forest will hold the most nostalgia for me when I am older. The Wonderland series (PC) ___Wonderland was one of the first commercial computer games I bought. I enjoyed it immensely - the main characters "Stinky" and "Loof" are adorable and the puzzles were well-designed. I later bought "Return to Wonderland," where I really got into the game - this installment had lots of new items and a level editor - my favorite thing about a game. I've made hundreds of levels for Return to Wonderland. The whole community has made tens of thousands, or more. You can visit the forum to get them! - Return to Wonderland is buy-only. 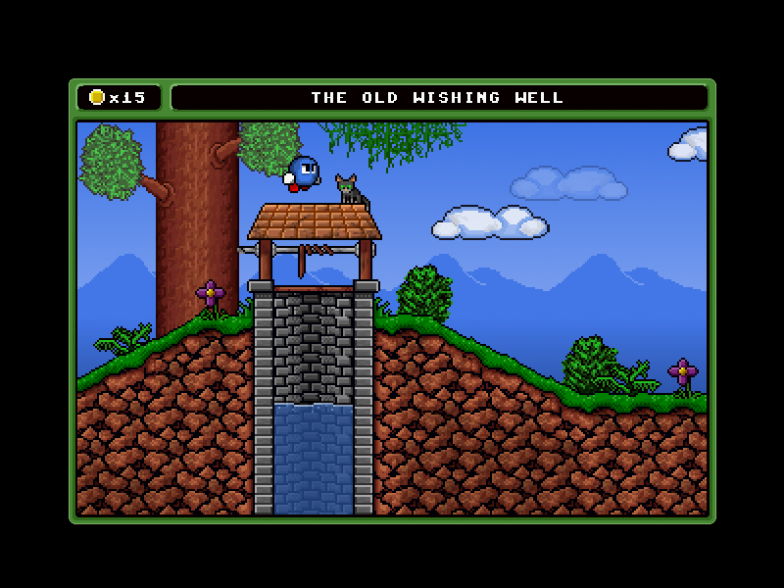 Worms (Amiga/Mac/PC) ___Another game that I played when I was quite little, worms is a turn-based strategy game about teams of worms blowing each other up. It was the first in what is now a series, most of which are excellent (except for the 3D ones). ___I had the most fun with this by making 4 unique teams and controlling all of them, not caring who would win - I would have a worm attack the closest worm that wasn't a team-mate. Each round was different and I loved the strange landscapes. Worms Armageddon (PC/N64) ___Worms Armageddon is probably the most well known sequel of Worms. I first played it on the N64 when I rented it from the video store. It expanded on the original in just about every way, new graphics, ambiance, weapons, and overall gameplay, without losing the feel of the series. ___I recently purchased the PC version, which has a level editor. What fun! - Worms Armageddon is Shareware. You can download a demo here, but you'll have to buy the full version.